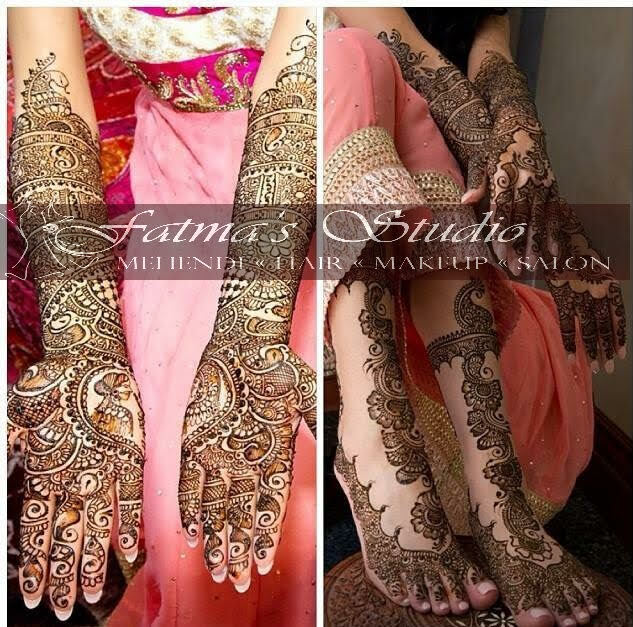 Meet Canada based makeup and mehndi artist Fatma Chandel and get inspired by the gorgeous mehndi designs created by her! Fatma is a hard worker and also an honest teacher. According to her, art is an abstract idea which needs to be shared, taught and passed on to others. Not only in Vancouver, Canada, but Fatma has her students based in India as well and she has proved to be a excellent teacher. Let’s get to know more of her! I was always inclined towards art and design as a child. I had keen interest in craft, sketching, hair styling, makeup and mehndi. It was not surprising at all as I had inherited these inborn qualities from my mother who was far beyond excellence. I spent hours perfecting her art of mehndi, hair and makeup on her sister initially and then later relatives, friends and neighbors. I must have not really thought my passion would become my profession one day. With my husband’s encouragement, I pursued my passion and received Certificate in Aesthetics and Hairdressing. Having 18 years of experience and a certificate in skin care and hairdressing from Mumbai, I upgraded my studies in Canada and in 2003 I started my job as an aesthetician and hairdresser but didn’t have much time to explore my mehndi talent. 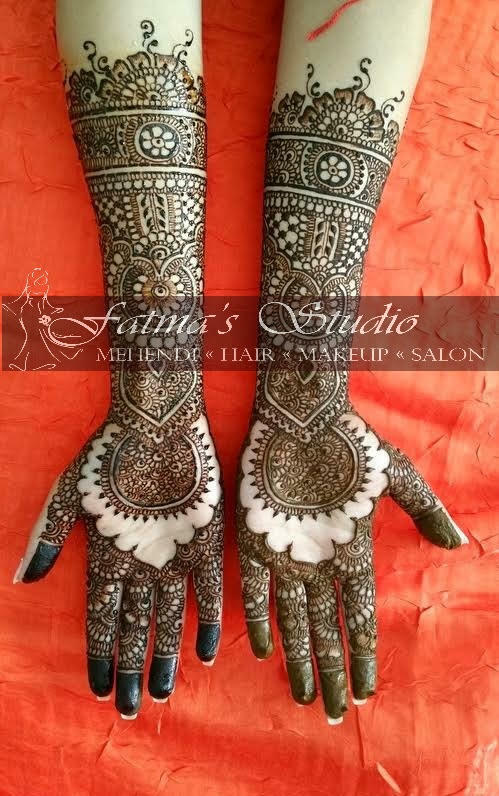 Soon after upgrading my studies, I started my career as a full time mehndi artist and it didn’t take me long to spread my name and fame and “Fatma Mehendi Art” became a well known name in the Mehndi industry. Opening my own salon and serving people in Canada was my dream which came true in August 2008 and “Fatma’s Mehedi, Hair & Skin Care Salon” started in full swing. I kept my Indian roots intact in Canada as I spent 12 years here serving the Indian and other communities. I made brides look and feel beautiful, confident on their wedding day. I kept alive the age old culture and traditional ritual of practicing henna on auspicious occasions. Mehndi holds a lot of significance in the Indian culture and traditions be it a wedding, Karwa Chauth or any other auspicious event. This is the most requested design that makes me extremely passionate about my profession. If I have to discuss the most memorable incident through my journey, it would be that day at work when I was doing bridal mehndi and the bride got me a piece of fabric from her grandmother’s bridal outfit. She had preserved it all these years. She wanted me to replicate a part of it in her mehndi design. I did incorporate that gracefully and seeing how it came out- she was way beyond happy and touched. I was happy to see that smile and tears, the joy in her eyes was priceless. The minimum number of hours to keep the mehndi paste on your skin ranges from 7 to 8 hours and maximum 12 hours. After completion, scrape off the mehndi, but avoid direct contact with water. Warmer the body temperature of an individual – better the quality of the stain color. Post mehndi – one needs to expose the mehndi with clove vapors/smoke for better results. Avoid chlorine water/harsh shampoo, soaps, detergents, dyeing agents, bleaching agents (chemicals in any form). Fatma’s Studio. Click on the website and do visit my Facebook page.